The Rebel Sweetheart. : Wordless Wednesday #51 | Typhoon Maring. 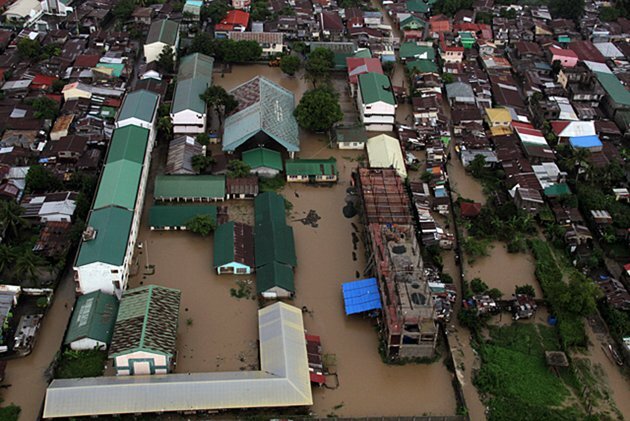 The country is literally in shambles right now, as Typhoon Maring continues to devastate the greater part of Luzon. 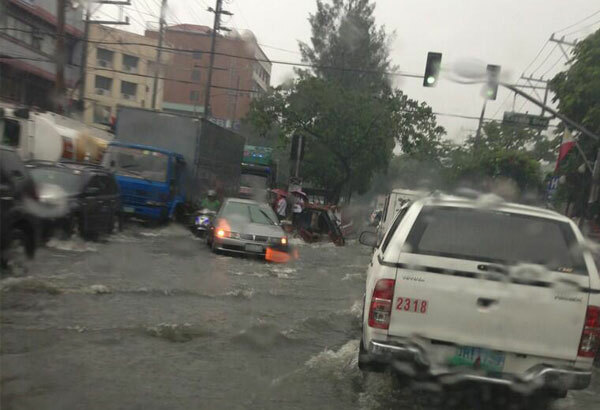 Classes and even work, have been suspended for the past two days (today is a National Holiday, so no classes still), there's flood everywhere, with houses, buildings, and livelihood all destroyed. I'm thankful to be living in a place surrounded by mountains. My family is safe, and so is the rest of my hometown. Other towns in my province are not as lucky, as they have been ravaged by floods as well. The rain seems to have stopped today, and I'm going to the nearest donation center to help in my own little way. I'm bringing some of my little man's old clothes, along with a few canned goods. It's the least I can do for the victims of Typhoon Maring. 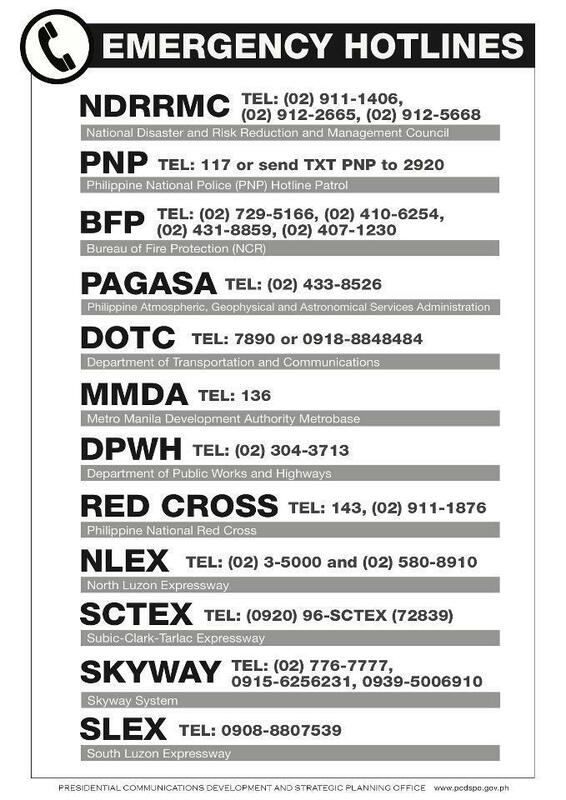 And here's a list of emergency hotline numbers for everyone's reference. Here's hoping that Typhoon Maring leaves the country soon. 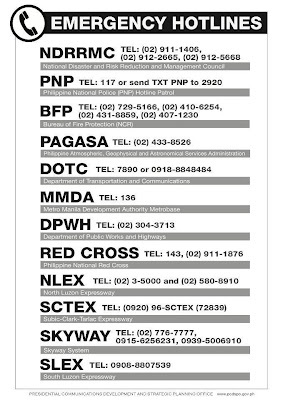 Stay safe and dry, everyone! sad,but this is now what they call the new normal sigh hope you are safe btw. Nature is totally unforgiving when it hits and hits hard. I definitely remember when Hurricane Sandy hit us here. It is devastating. I am glad to hear that your village is safe. 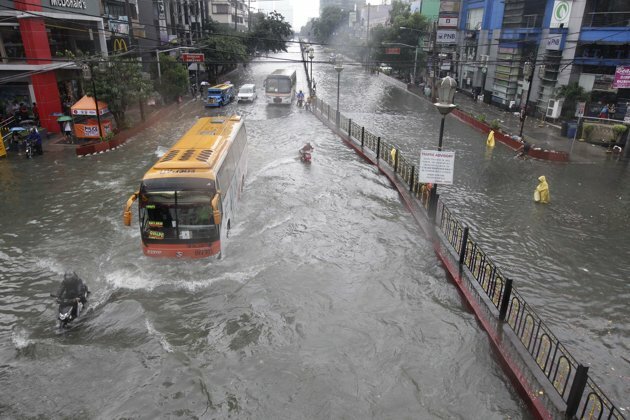 My thoughts and prayers are going out to all who were affected by this typhoon. Those pictures are heartbreaking. So sorry that this has been happening and I hope it ends soon so people can begin putting their lives back together. How scary! My Step Grandma is from the Philippines. I hope none of her family is in danger! I will keep you all in my thoughts and prayers. Hope you are all safe and sound. Oh my goodness! I can't imagine the fear and hopelessness so many of these people are now feeling. My heart goes out to them. Oh my this is awful. I am glad that you are safe! I am so sorry to hear about the devastation. Good to hear that you and your family are safe. So kind of you to give to others. My thoughts are with those in need. Goog to know you and your family is safe. 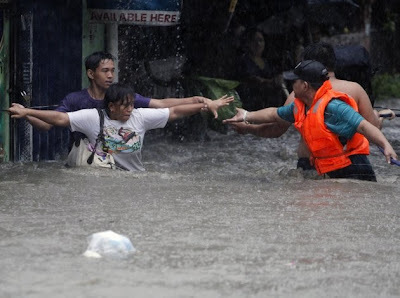 It is indeed seeing others soaked with rain and houses submerged in the flood. Hopefully the government will take a step in preventing or atleast minimize this flooding problem. I'm glad that you're hometown is safe from the disaster. Same here too. I hope we will not experience it anymore para maka recover ang mga kababayan natin. Another calamity but we always rise above the hardships and let the heroism and the bayanihan spirit shine through.